Are you a future classic??? This is a tough question because I have a number of books that I could think of in terms of future classics. So, it was undoubtedly a question that provoked a bit of turmoil for me! 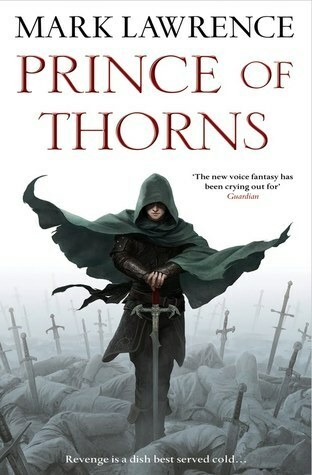 And, I think my choice may seem irregular being a grimdark fantasy series – however, fantasy has a large place in the classics and this is one of the ways that it’s being revamped giving it a darker edge and more modern feel. I’m not going to go into a deep and meaningful essay here – I’ve given my points in brief and I’ve chosen a recent fantasy trilogy that I really enjoyed – let me know what you’d choose please! Firstly, and most importantly, I loved this series. I had a number of candidates for this. I love The Name of the Wind and Wise Man’s Fear, for example, and think they will definitely become classics, however, the Patrick Rothfuss series isn’t finished yet so I don’t think I can reasonably put it forward – and in this respect the same goes for The Stormlight series by Brandon Sanderson and The Gentleman Bastards by Scott Lynch. I’m sure they’ll ALL be classics but they are as yet unfinished. Three is a lucky number – three books in this series and three books in Lord of the Rings!! You just have to love a trilogy. Yes? New to me – grimdark is relatively new to me and I would say Mark Lawrence was my first introduction. Another reason for me feeling all the love for this series. Now, I realise that there are other series written in a similar style, but, like I said this is the first for me. I like the way that Jorg grows up as the series progresses. I also like the style of jumping back in time to see some of his earlier memories. You might think this would take you out of the story but it’s actually a great way to find out his back story without a huge info dump or writing the story in a more traditional timeline style. It’s very well thought through in such a way that when you reach certain stretches of the story and things are revealed they definitely have the ‘wow’ factor. Jorg – I do like this character. Okay, he’s not your typical hero – in fact he’s all anti-hero. But you will end up in his corner. I think there’s a fine line between too much detail and not enough. Now, I love Tolkien but some people think he’s overly descriptive (not I). I think the Broken Empire succeeds in a good balance between character development, plot and world building. It’s easy to imagine the setting and the places which all seem very familiar but with a twist. The three books in the series have been on mine (and plenty of others) ‘best of’ lists come the end of the year. I like all three books. There was no ‘middle book’ syndrome. In fact, I would say that the books got progressively better! It’s the classic Good vs Evil – I mean, you wouldn’t necessarily call Jorg ‘good’ but in terms of this story he’s definitely the lesser of two evils! I would reread this – if and when I ever got the time! And I think that’s a good indication of a book’s real worth – if you’re prepared to reread it! I think it would also make a very good readalong for people who want to have more detailed discussion because there’s no shortage of things to talk about! So, what would your choice be??? Interesting!! 🙂 Great idea for a blog post! Made me think! Good – you’ll have to come up with your own classic! Ya. This is a cool post. Don’t know if I agree, but this is a damn good idea. Now what would I pick? Excellent review as always! 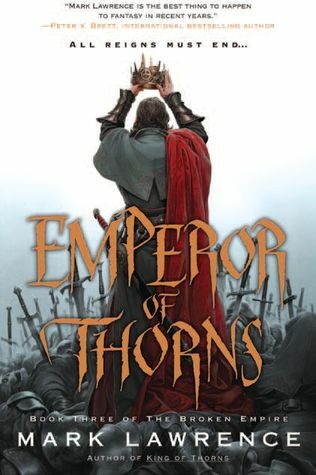 The Broken Empire is the 3rd series I am reading in the grimdark genre (I highly reocmmend George Martin’s A Song of Ice and Fire and R. Scott Bakker’s stellar The Prince of Nothing trilogy also). I was quite mad at Jorg in the first book, but as I neared the end of it I started to connect with him. 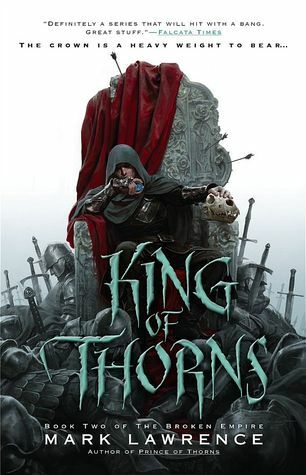 And then in King of Thorns, it took such a twist, my jaw dropped with the admiration of how Mark Lawrence so brilliantly showed the deeper layers of the villainous anti-hero character and made me feel a great empathy for him. This is not something everyone can pull off without sounding cliche. I am still halfway through the second book, but it’s getting better and better. I think this series definitely surpassed the fantasy classic Elric series of Michael Moorcock in terms of the antihero POV and originality. It’s really tough – funnily enough, the books that you really love are already classics!!! Definitely a great discussion question. I’m not sure what I would personally pick. Maybe I’m just overly critical or my criteria I choose is too extreme, but not too many are coming to mind, lol. I think it’s generally quite difficult to pick out of the spec fic genre because there’s a lot of it, and there are so many great themes. It is a really tough question. And, such a massive, well, epic, genre. Sanderson was definitely on my mind for WoK and WoR but they’re not even half way through the series yet! Great idea for a post! It will be interesting to see which books withstand the test of time. I actually haven’t read this yet, but I got the first book for Christmas, so soon. I hope you enjoy it. For me it was probably my first experience of ‘grimdark’ and this book certainly makes you realise what a fitting description that is! it’s actually really difficult to come up with a choice – in fact most of the books that probably really stand out to people – are already classics!